Great little villa. Our stay was comfortable and staying at the winery was wonderful. 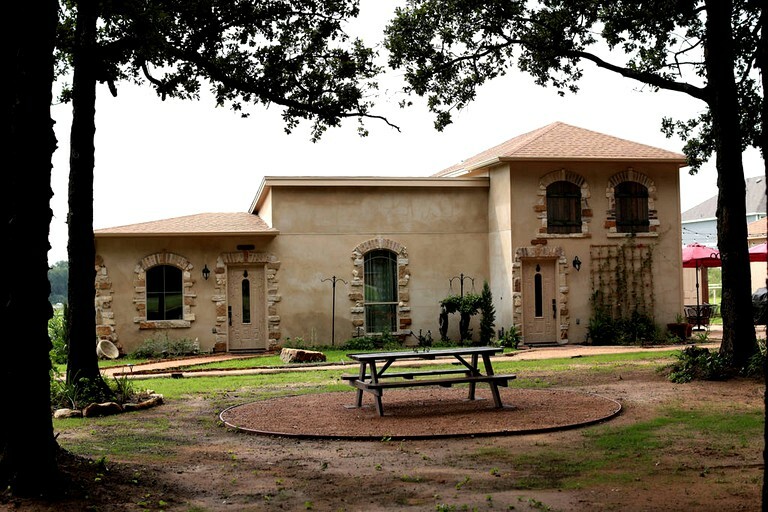 This cozy getaway in Aubrey, Texas, can accommodate up to six guests at a time. The main bedroom is furnished with two queen-size beds, with an additional sleeper sofa in the living room for extra guests. There is one full private bathroom equipped with a walk-in shower, a spa tub, a toilet, a sink, and provided linens with plush terry cloth bathrobes. Each accommodation has at least one bedroom and one private bathroom that comes with provided toiletries and bathrobes. There is a kitchenette in the main room, as well as a coffee bar and a TV with cable access. 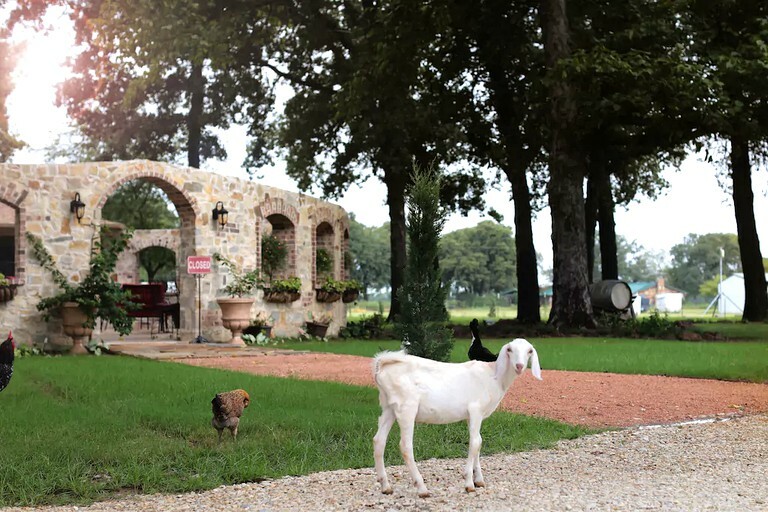 The villa comes with Wi-Fi access, provided linens, and parking spaces, as well as access to the tasting room, the outdoor pizza oven, the stone patio, the picnic tables, and the outdoor chapel. 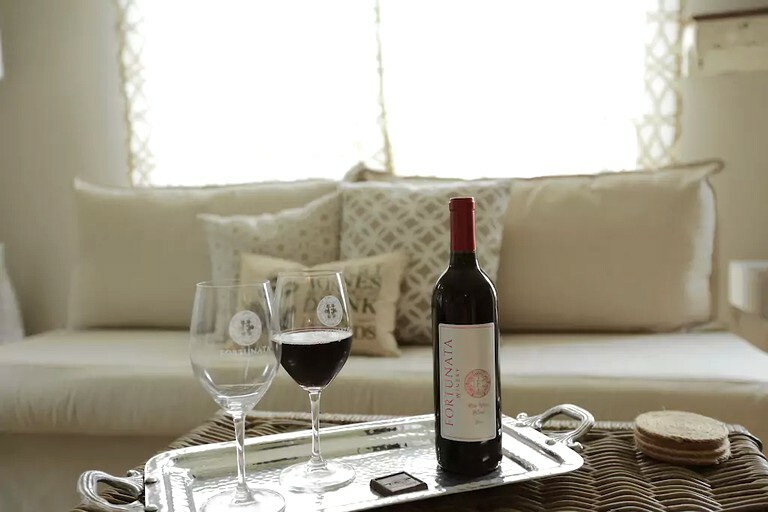 This deluxe accommodation is ideal for a relaxing vacation surrounded by the stunning hills and grape vines of this Tuscan-style winery and vineyard. 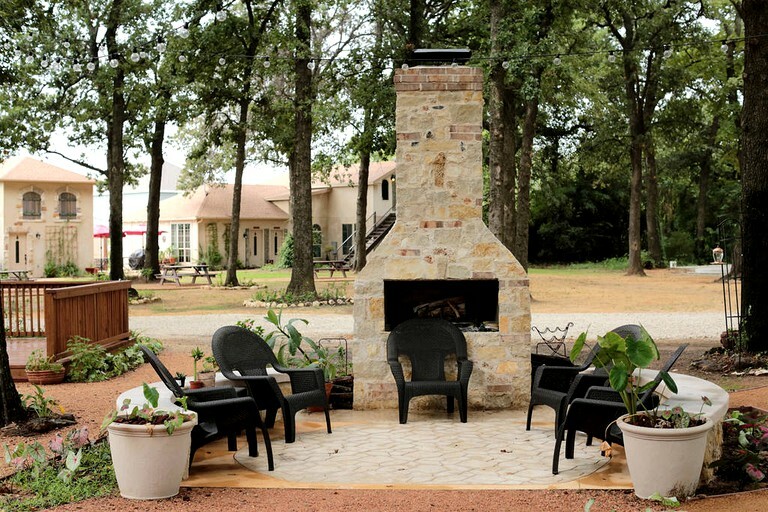 While here, guests can enjoy hours of wine tasting in the tasting room or an evening cookout around the fire pits and outdoor ovens near the main lodge. Guests can also take strolls through the gardens on the property or around the pond near the outdoor chapel. 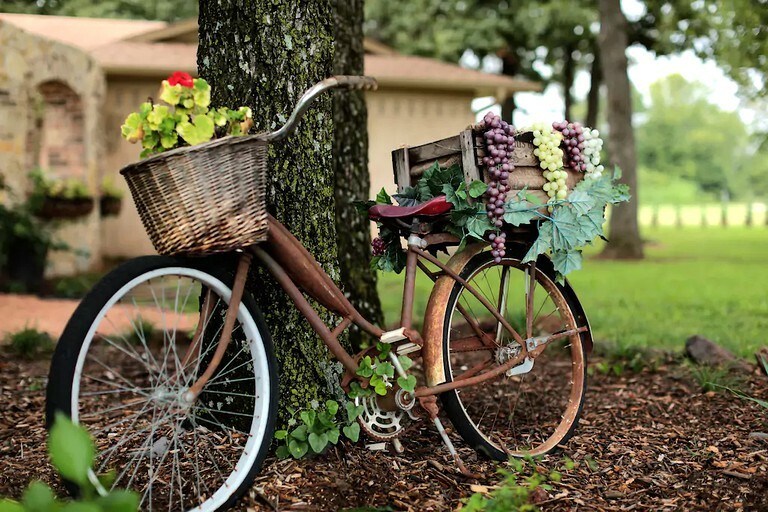 In the area around Aubrey, glampers can go fishing, swimming, or kayaking in Lewisville Lake or Grapevine Lake, or head into any of the surrounding towns for a bite to eat or some window shopping around the town center. 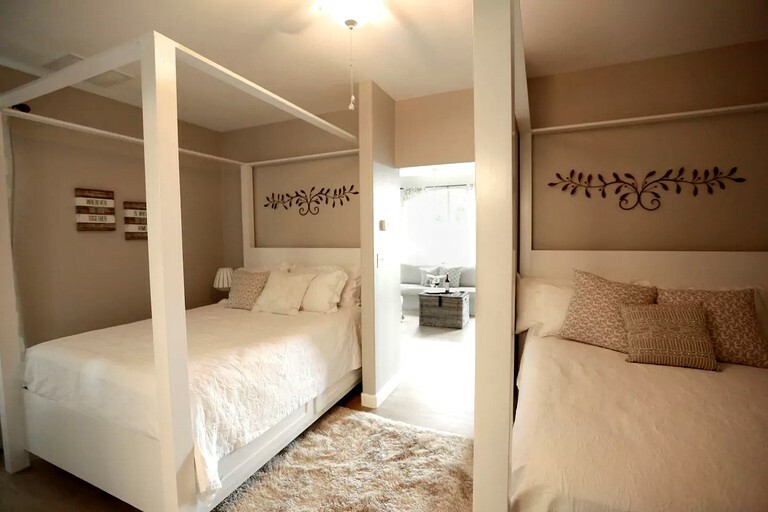 In Frisco, glampers can also go to a baseball game or visit one of the many museums the town has to offer, including the Sci-Tech Discovery Center or the Museum of the American Railroad. 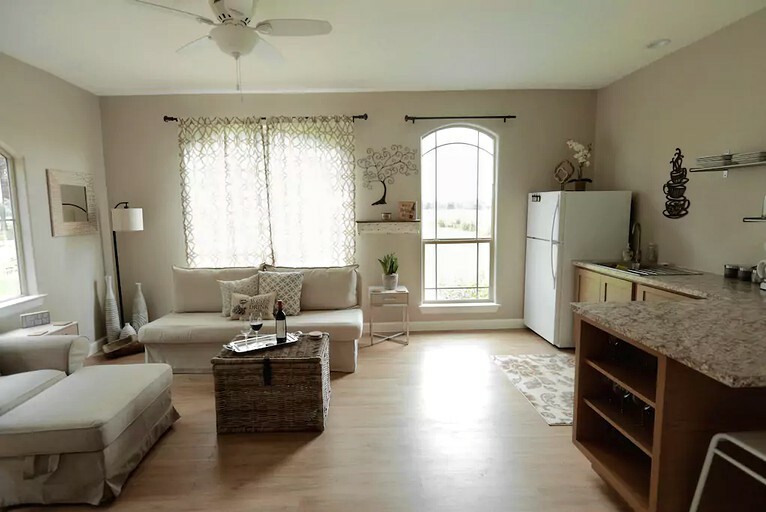 Both Dallas and Fort Worth are exciting destinations for day trips as well, as glampers can access either city with a quick drive down the highway. This property is available for special events of up to 65 guests. Pets are permitted for an additional fee.